In any pizzeria, no matter whether it’s a chain or an independent establishment obviously you do not need to use much of your brain to know that pizza oven is one of the most important kitchen equipment. As you know that you must choose the right commercial pizza for your restaurant so that you able to deliver the tasty food to your customer. 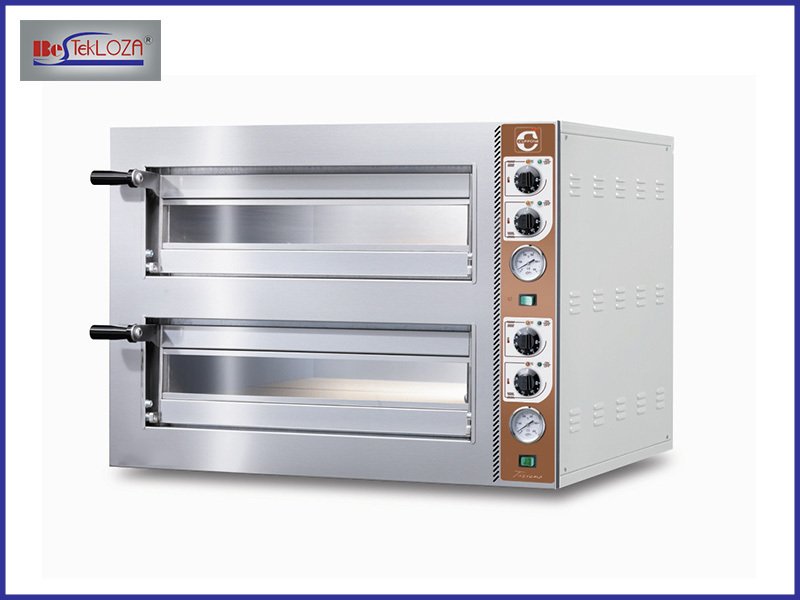 Conveyor, deck and convection pizza ovens all the kinds of ovens are available in commercial pizza oven supplier. These ovens are either found with gas or with electric hook-ups. But, as we can guess that there is a difference between gas and electric pizza ovens. If you want to make a traditional pizza then it is better that you must use a gas oven on high temperature. This will allow your pizza to get a very crispier crust and also the entire pizza can be cooked evenly. But, if you do not get stuck with the same old natural gas then it is better to opt for electric models as that will suit your needs in a better way. Moreover, if your business mainly depends on mobility then the electric oven is a better option than gas. Before you approach your hotel kitchen equipment supplier it is important that you must prioritize your needs properly so that the suppliers can provide you with the best possible pizza ovens. Pizza Deck Oven – These ovens are many updated ones especially when we are talking about technologically updated ovens. These ovens have a stone hearth, the shelf where the pizza is placed for the baking purpose. The stone heat along with the oven heat creates a lot of heat that helps to maintain the temperature inside the oven and produces delicious pizza. Generally, pizza deck oven is found in the commercial Kitchen because it becomes very hard to maintain the cost of a brick oven for a small restaurant. Pizza Convection Oven – This particular oven uses the fan that actually helps to circulate extreme hot air all over the oven. This method of heating the entire oven actually lowers down the entire energy costs. Not only it saves cost but along with that it also can be used in a small kitchen because it is a good alternative for them. Conveyor Oven – These ovens are used to cook something more than usual pizzas and especially very useful for restaurants who has broader varieties of pizzas on their menu. In this kind of oven, you won’t get the facility of recovering the excess temperature. So, this particular type of ovens is good to use during busy times. As a benefit, you can also preheat the conveyor if you want to serve more than one type of pizza.